One of the closest buildings to Deer Valley’s Snow park Lodge. Walk or ride the bus! Step out your door and choose one of the easy ways to get to the slopes – walk, Park City’s free bus, or across the street from your condo is the Deer Valley shuttle which runs continuously throughout the day and will shuttle you to the base lodge. Deer Valley’s Snow Park Lodge provides over night ski storage ~ the access to the slopes could not be easier. Park City’s free city shuttle stops right in front of your condo building and takes you to Main Street as well as other spots around town including Park City Mountain Resort and The Canyons. This gives you an easy way to enjoy all of the ski resorts at Park City. If you chose to bring a car, there is reserved, free underground parking – very convenient. 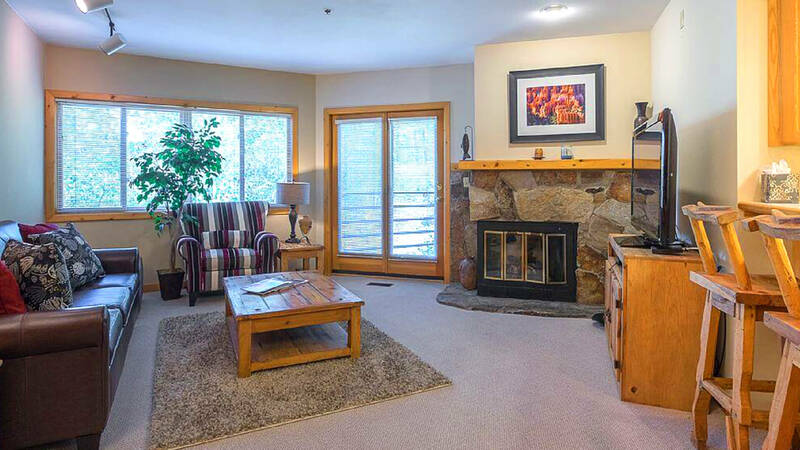 Relax around the fireplace after a long day of skiing, this ski property is ready for you to enjoy with all new quality linens and towels, new appliances and a brand new large soaking tub in the bathroom!